Researchers at the Weill Cornell Medical College in New York City have successfully tested their novel anti-cocaine vaccine in primates, bringing them closer to launching human clinical trials. Their study, published online on May 10, 2013 by the journal Neuropsychopharmacology, used a radiological technique to demonstrate that the anti-cocaine vaccine prevented the drug from reaching the brain and producing a dopamine-induced high. "The vaccine eats up the cocaine in the blood like a little Pac-man before it can reach the brain," says the study's lead investigator, Dr. Ronald G. Crystal, chairman of the Department of Genetic Medicine at Weill Cornell Medical College. "We believe this strategy is a win-win for those individuals, among the estimated 1.4 million cocaine users in the United States, who are committed to breaking their addiction to the drug," he says. "Even if a person who receives the anti-cocaine vaccine falls off the wagon, cocaine will have no effect." Dr. Crystal says he expects to begin human testing of the anti-cocaine vaccine within a year. Cocaine (image), a tiny molecule drug, works to produce feelings of pleasure because it blocks the recycling of dopamine -- the so-called "pleasure" neurotransmitter -- in two areas of the brain, the putamen in the forebrain and the caudate nucleus in the brain's center. When dopamine accumulates at the nerve endings, "you get this massive flooding of dopamine and that is the feel-good part of the cocaine high," says Dr. Crystal. The novel vaccine Dr. Crystal and his colleagues developed combines bits of the common cold virus with a particle that mimics the structure of cocaine. When the vaccine is injected into an animal, its body "sees" the cold virus and mounts an immune response against both the virus and the cocaine mimic, says Dr. Crystal. Led by Dr. Peiyee Lee and Dr. Richard Gatti, researchers at the Eli and Edythe Broad Center of Regenerative Medicine and Stem Cell Research at UCLA have used induced pluripotent stem (iPS) cells to advance disease-in-a-dish modeling of a rare genetic disorder, ataxia telangiectasia (A-T). Their discovery shows the positive effects of drugs that may lead to effective new treatments for the fatal neurodegenerative disease. iPS cells are made from patients' skin cells, rather than from embryos, and they can become any type of cells, including brain cells, in the laboratory. The study was published online on May 7, 2013 in Nature Communications. People with A-T begin life with neurological deficits that become devastating through progressive loss of function in a part of the brain called the cerebellum, which leads to severe difficulty with movement and coordination. A-T patients also suffer frequent infections due to their weakened immune systems and have an increased risk for cancer. The disease is caused by lost function in a gene, ATM, that normally repairs damaged DNA in the cells and preserves normal function. Developing a human neural cell model to understand A-T's neurodegenerative process — and create a platform for testing new treatments — was critical because the disease presents differently in humans and laboratory animals. Scientists commonly use mouse models to study A-T, but mice with the disease do not experience the more debilitating effects that humans do. In mice with A-T, the cerebellum appears normal and they do not exhibit the obvious degeneration seen in the human brain. Dr. Lee and colleagues used iPS cell–derived neural cells developed from skin cells of A-T patients with a specific type of genetic mutation to create a disease-in-a-dish model. 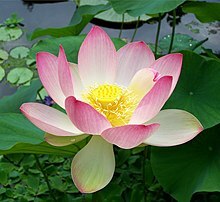 The sacred lotus (Nelumbo nucifera) is a symbol of spiritual purity and longevity. Its seeds can survive up to 1,300 years, its petals and leaves repel grime and water, and its flowers generate heat to attract pollinators. Now, researchers report online on May 10, 2013 in an open-access article in Genome Biology that they have sequenced the lotus genome, and the results offer insight into the heart of some of its mysteries. The sequence reveals that of all the plants sequenced so far – and there are dozens – the sacred lotus bears the closest resemblance to the ancestor of all eudicots, a broad category of flowering plants that includes apple, cabbage, cactus, coffee, cotton, grape, melon, peanut, poplar, soybean, sunflower, tobacco, and tomato. The plant lineage that includes the sacred lotus forms a separate branch of the eudicot family tree, and so lacks a signature triplication of the genome seen in most other members of this family, said University of Illinois plant biology and Institute for Genomic Biology professor Ray Ming, who led the analysis with Dr. Jane Shen-Miller, a plant and biology professor at the University of California at Los Angeles (who germinated a 1,300-year-old sacred lotus seed); and Shaohua Li, director of the Wuhan Botanical Garden at the Chinese Academy of Sciences. "Whole-genome duplications – the doubling, tripling (or more) of an organism's entire genetic endowment – are important events in plant evolution," Dr. Ming said. Some of the duplicated genes retain their original structure and function, and so produce more of a given gene product – a protein, for example, he said. Some gradually adapt new forms to take on new functions. If those changes are beneficial, the genes persist; if they're harmful, they disappear from the genome.